A Kulgam resident, Rasikh Salam Dar (17) has become the second cricketer from the state to play for Indian Premier League (IPL). Rasik has been chosen as a fast bowler for Mumbai Indians team for the league. Earlier, it was Parvaz Rasool who become the first cricketer from J&K to play for IPL. Dar is the youngest to debut for Mumbai Indians at 17 years and 353 days. The franchise’s director of cricket operations and former India pacer, Zaheer Khan handed the cap to the player, media reports said. Hailing from Ashmuji village in south Kashmir’s Kulgam district, Salam came on the domestic cricket scene through district-level tournaments and then was spotted by Irfan Pathan, who is now a player mentor for the Jammu and Kashmir Ranji Trophy team, the report mentioned. Salam featured in a couple of Ranji Trophy fixtures for his home state and picked up seven wickets. In the Syed Mushtaq Ali Twenty20 tournament, he scalped five wickets in four outings, SportStar reported. 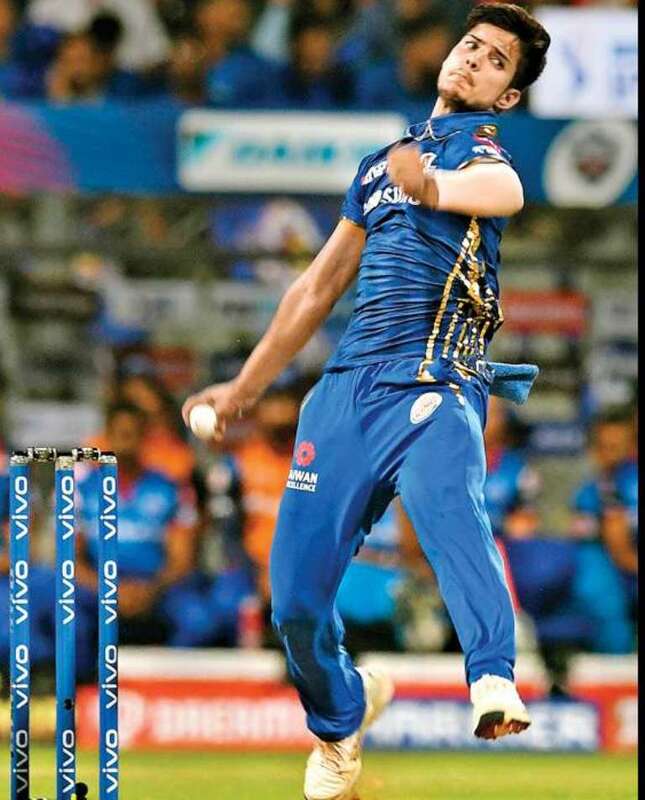 And on Sunday, he surprised all by making into the final XI of the star-studded Mumbai Indians side and also opened the bowling, giving away just six runs in the first over and troubling Shikhar Dhawan and Prithvi Shaw a bit. During the state team camp, Salam spent a lot of time with Pathan learning a thing or two about bowling and that seems to have helped. “I worked a bit on the technical part and hopefully he will be able to keep those things in mind,” Pathan had said before the IPL began, reported SportStar. Salam was spotted by the Mumbai Indians scout team during the U-19 Cooch Behar Trophy and later he attended a couple of trial camps at the franchise’s facilities in Navi Mumbai. The franchise then roped him for Rs 20 lakh at the auctions in Jaipur in December last year. Last year, Manzoor Dar, a resident of North Kashmir was selected by Kings XI Punjab, but he had to warm the bench throughout the tournament, SportStar reported.